What is an IPA and why there’s the first festival dedicated to in Gloucester? 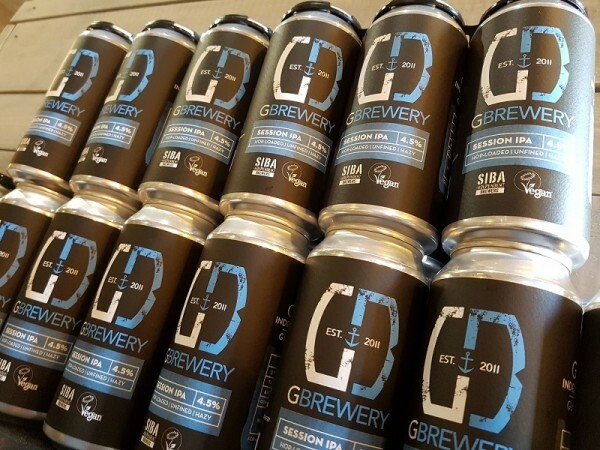 It has fast become one of the most popular styles of beer being brewed today and now, for the first time, Gloucester Brewery is holding a festival in its honour. A celebration of the IPA, or India Pale Ale, is taking place at the brewery at Gloucester Docks on May 3 and 4 with beers from around the world on offer. Gloucester Brewery will also be unveiling its new beer, the Vic IPA (4.5% ABV) at the festival which is the latest in its warehouse series in tribute to the waterfront buildings which surround the brewery. Tickets for the festival are £10 which includes your first £5 of beer tokens. There will be also be food and live music on throughout the two days. Gloucester Brewery founder Jared Brown said: “This is the first time we have done an IPA festival and it reflects the popularity of this style of beer plus we are big fans of it ourselves. India Pale Ale was first created in the late 18th Century to provide a long-lasting beer to take on ships to the Eastern countries of the British Empire. The beer was heavily-hopped to help preserve the ale on the long journeys. Weaker, less hoppy English pale ales have been brewed for generations ever since then, but it wasn’t until American craft brewers began creating the hoppy IPAs in the 1970s that it really grew in popularity once more. Jared said: “These days, you have the English style IPAs which tend to be classic bitter style beers and then you have the American-style and New England IPAs which are super juicy, super hoppy and all about the tropical fruit character and the flavour of the hops. “For us, IPAs are the fasting growing part of our business. Our traditional beers such as Gloucester Gold and Cascade still take up a big proportion of our trade, but the Session IPA is our most popular beer in the Tank bar and also out in the trade. For a novice IPA drinker, try the Gloucester Brewery Session IPA (4.5%). It’s nicely balanced, not too bitter with loads of juicy fruit on the nose. If you have a sweet tooth, go for Bristol brewery Arbor’s Faked Alaska pudding IPA (6%). It’s quite different with vanilla notes and definitely worth trying. Coming all the way from the 50th state, Hawaii, Hanalei IPA by Kona (4.5%) is a really easy drinking beer with a tropical twist. Lervig’s Tasty Juice (6.2%) from Norway was the beer that inspired us to start making IPA ourselves. It is just so tasty. Coming in at just 3.3%, Albert Einstein Rye IPA by Lab Culture is one we are really looking forward to trying for its spicy, nutty flavour. External Website: More details about Gloucester Brewery Ltd and What is an IPA and why there’s the first festival dedicated to in Gloucester?